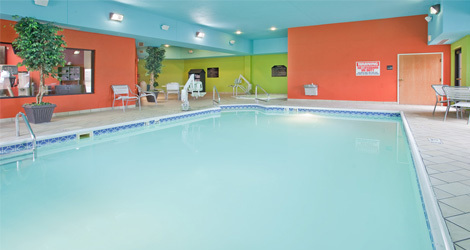 The proud home of Johnny Carson, Norfolk, Nebraska, offers big city excitement with the charm of a small town. 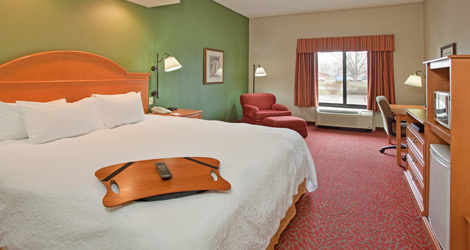 When you visit our comfortable Norfolk Hampton Inn, you’ll find plenty of activities for everyone to enjoy, from museum hopping to antique shopping and everything in between. Whether you’re enjoying an adrenaline rush at the Riviera Raceway, exploring history at the Elkhorn Valley Museum, or perusing a charming collection of gifts and antiques at The Milkhouse, you’ll find something for everyone nearby. 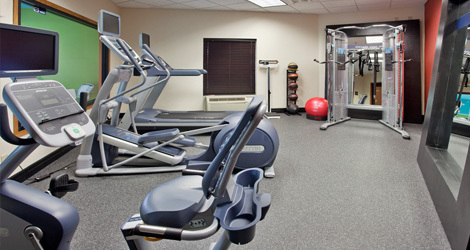 When you choose to stay with us at The Hampton Inn our hotel staff invites you to enjoy the outstanding amenities, including a complimentary sparkling indoor pool and a well-equipped Fitness Center. 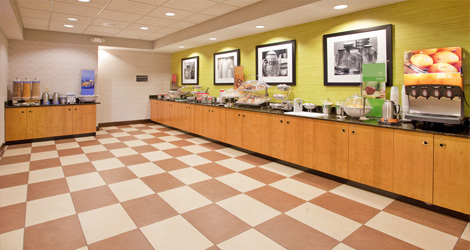 We also offer a free, hot breakfast bar every morning, which includes fresh fruit, eggs, sausage, biscuits & gravy, waffles, juice and 100% Arabica bean coffee. 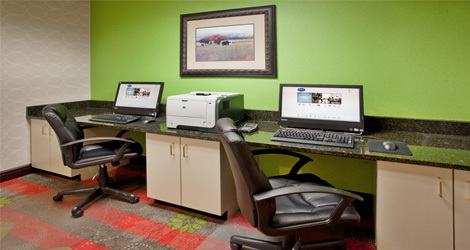 We offer a Business Center, which features a personal computer and copy, print and fax services. 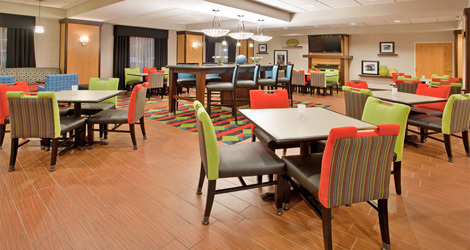 In addition, we have complimentary high-speed, wireless Internet access, which makes it easy to stay in touch with the office. 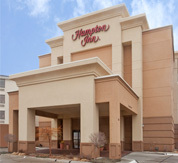 We also invite our guests to join us Monday-Thursday from 5:30 pm – 7:00 pm for the complimentary Manager’s Reception, featuring free wine, beer and snacks. You can count on friendly, helpful service and so much more, guaranteed. If you’re not satisfied, we don’t expect you to pay. That’s our commitment and your guarantee. That’s 100% Hampton®.